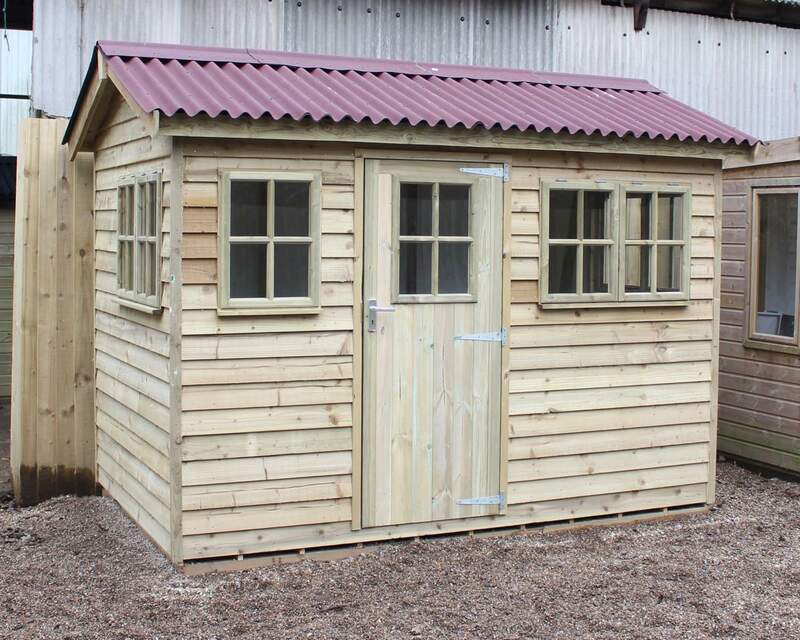 If you’re keen to protect your garden shed from harsh weather conditions; don’t want to see signs of rotting or decaying a few months after purchase, adding a felt roof to your shed will make sure it looks great all year round. Rather than paying for some to come and install your felt roof shed, you could complete a straightforward to ask yourself, free of charge. We have put together a step-by-step guide to felt a shed roof, including everything you need to know, from removing your old felt roofing and the tools you’ll need to apply your new felt roof. The first thing to do is dismantle any existing timber fascia boards and put them to one side. This can be achieved using a flat pry bar or multi-tool with a metal cutting blade. Be careful when leaving your dismantled timber fascia boards to one side as they’re liking to have sharp nails sticking out of them which are a danger hazard. Now you can remove your old felt roof using a flat pry bar or claw hammer to release the felt roof nails holding your roofing felt. You can pull away the felt from the roof of your shed after removing the nails. Remember to check the top of your roof for old nails which will need removing before applying your new roofing felt. Before installing your roofing felt, you need to measure the entire coverage of your shed. You can do this using a tape measure. You also need to allow for 50-75mm of overhang on each edge to allow for overlaps. Next, you want to mark your measurements on the roofing felt against a flat surface. 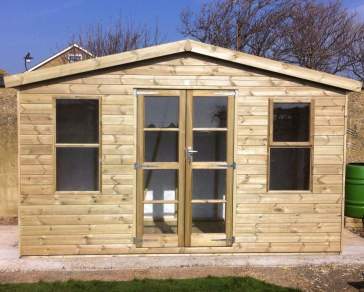 Mark the width of your shed plus the required overhang amount. You’ll need to cut approximately three pieces of felt. One piece is used to sit on each of the sides of the shed, and the remaining piece is to overlap the panels at the arch of the roof. Now you have measured your three pieces of roofing felt, you can begin laying one piece of the felt across the length of the shed roof. Laying it tightly on the roof panel, you can hammer temporary nails to the top of each corner to enable you to go along and hammer felt nails every 150mm roughly. Repeat this again on the other side. You can now turn your attention to nailing the drips – pull the felt downwards and tort, then secure in place with a nail and repeat along the entire drip of the shed roof. Repeat this again on the other side. Using the same technique, complete the sides of the shed (front & back). To tidy the corners of your shed, you should be able to form a simple pig’s ear fold and hammer tightly into place with a nail. Taking your final piece of roofing felt to overlap the arch of the roof, repeat a similar procedure, but apply with a felt adhesive using a paintbrush before nailing down the felt (every 150mm roughly) for added protection. Remembering to nail down the sides (front & back). 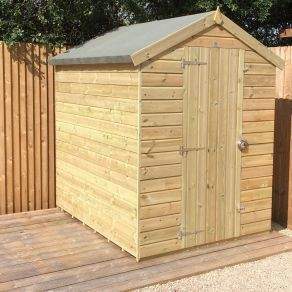 With your felted roof now securely fastened to your garden shed, you can now add your timber fascia’s back to the front and back of your shed using wood nails and a hammer. 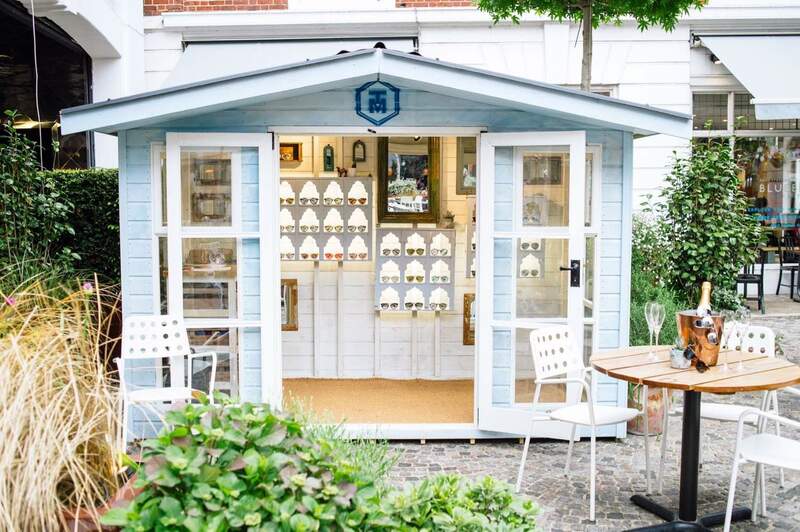 If you have any questions about sheds, check out our FAQ page or visit our blog to read our latest articles on all things sheds. Our expert team at Ace Sheds are always interested in your feedback and are happy to answer any questions so please do not hesitate to contact us today.